At first, when I booked my flight, with the promo sale, I was hesitant for this trip because I am not sure yet for my schedule and my budget. But, just a week before my trip, I used my facebook account and asked my friends for the cheapest resort in Boracay Island. 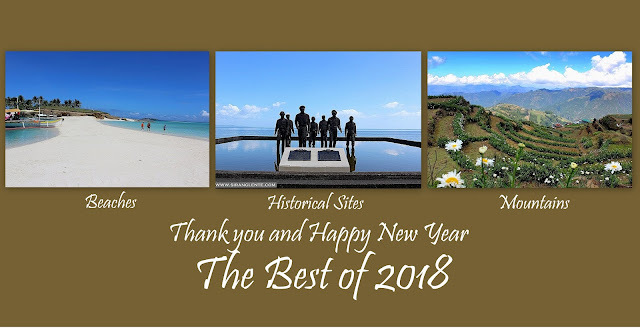 My original plan was to walk along the streets of Kalibo, Aklan, but when a friend gave me her friend's number who works in a resort at Boracay, I changed my original plan, it became backpacking to Boracay. 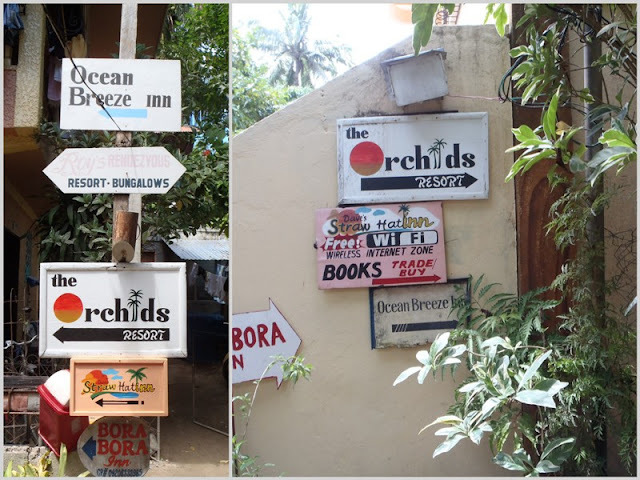 Orchids Resort is located at Station 3, Boracay Island. From Boracay Port, ride in a tricycle to station 3, drivers are accommodating. There are part in Station 3 where the tricycles are not allowed, so you need to walk to your chosen resort. But, in Orchids Resort, you just need to follow these marks, an additional challenge which can make you a strong traveler. Orchids Resort is not like the other 5-Star Hotels here in Boracay with a huge building. Orchids design is amazingly unique and made up of native products like bamboo, wood, rattan, nipa and other locals products, perfectly created to amaze my eyes. It was a solo-backpacking when I visited Orchids Resort, since there’s only one vacant room available for me, with two beds but the rates? WOW! It was low price really affordable, so I BOOKED it! I also searched online if what’s the cheapest resort in Boracay and one of the Tour Websites said that Orchids Resort is one of the cheapest. Not only that, they are also awarded by TripAdvisor for being one of the best hotels in Boracay. Most importantly, Orchids Resort is just few steps away from the shoreline of Boracay Island. I really can’t stop staring on this photo. Look! The sand is the finest and the whitest, the waters are crystal clear, and the wind was fresh, cool and relaxing. This is a NO FILTER Photo. I will definitely be back here.